Follow the below assessment process whenever faced with an injured player.The more you practice these steps the better you will become at being able to make decisions about a players injury status when under pressure. The first decision you need to make is whether there is any immediate threat to the players life. 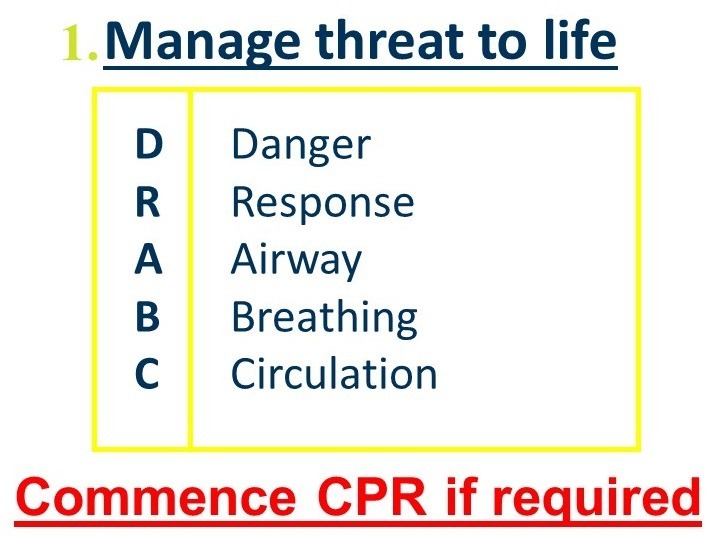 Follow this standard first aid procedure before you do anything else. 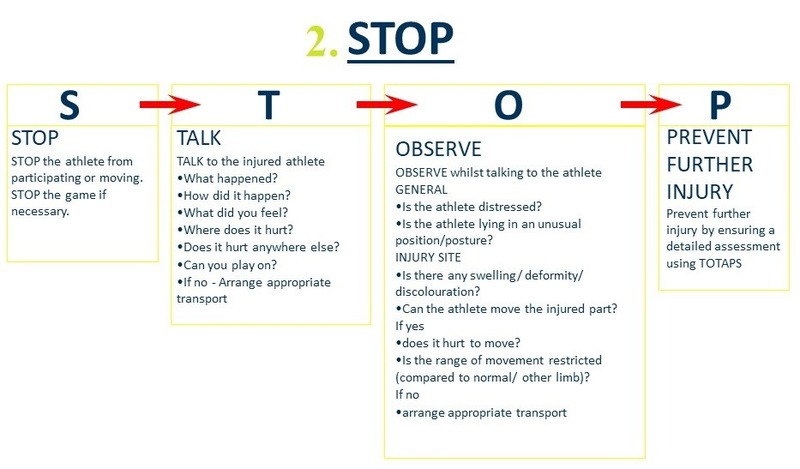 If you have decided that there is no danger to a players life then you can move onto the next step which is to quickly assess a players injury using the STOP assessment. Using this tool you should be able to quickly decide if a player is able to continue to play or if they have to be removed from the field of play. If you have decided that a player needs to be removed from the field of play, and the injury requires further assessment then you must gather more detail of the injury by using the TOTAPS assessment. 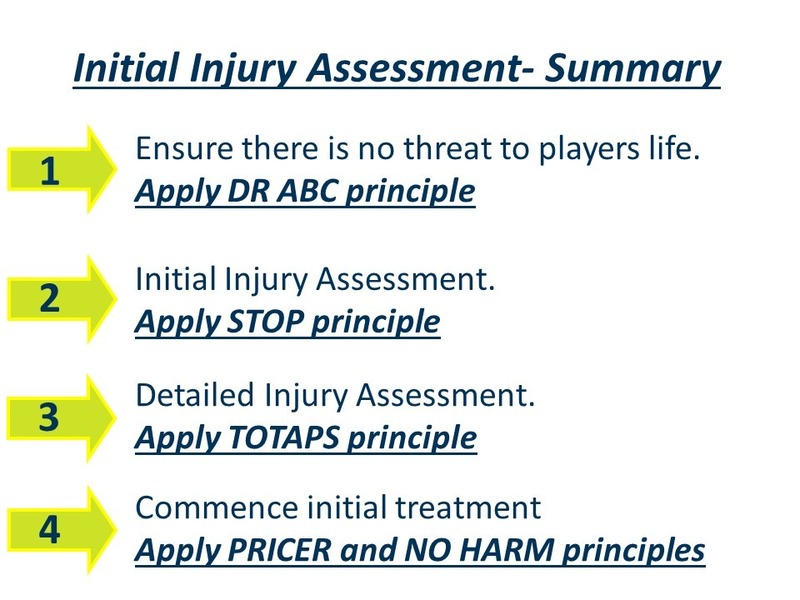 By the end of the TOTAPS assessment you should be able to decide whether a player can return to the field of play or if initial injury treatment must commence using the PRICER and NO HARM principles. Download the guide for more detail on the STOP and TOTAPS Assessments.